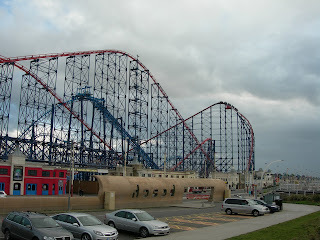 It's FRB's annual office outing and this year we've chosen to go to a famous seaside place called Blackpool. But it's business as usual as there's a full weekend of fellrunning ahead of us. 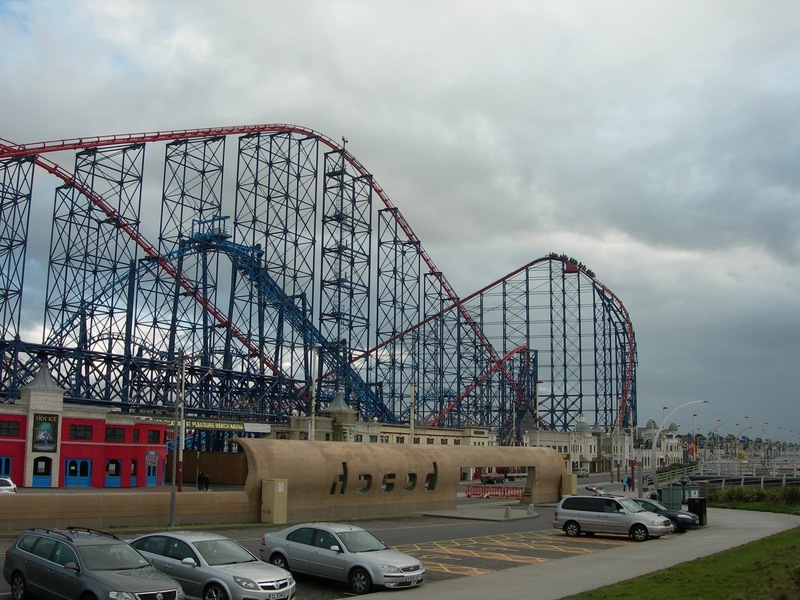 So, we've taken time out of our fun packed day, putting down the Blackpool rock as it was making the keyboard sticky, to bring you this weekend's preview. This is a great race organised by Mandy and Phil of Todmorden Harriers. Bingley's Ian Holmes won it last year, Ian Holmes has the record and Ian Holmes came away winner of the 2011 Yorkshire Championships last weekend saying "I feel great, I felt very little discomfort today". Fellrunners are like dogs - they like to go back where they've been before. 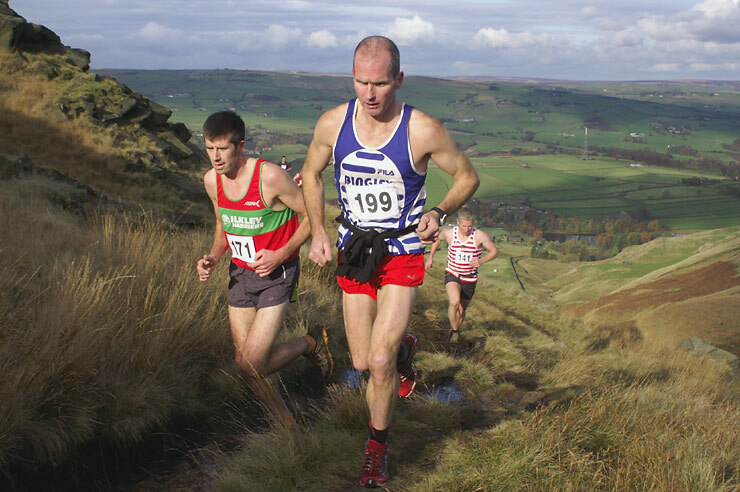 Last year Tom Adams from Ilkley was 2nd and James Logue of Calder Valley Fell Runners was 3rd. Gavin Mullholland of CVFR is running very well at the moment, he led the pack out of the field at Great Whernside last week. "...from the hamlet of Street follow the bridleway up on to the fell. Follow the bridleway crossing a stream and going through a gate all the way up to the shoulder of Wild Boar. At the top gate go through it and follow the steep climb on the right up onto the summit plateau. Keep the drop on your left hand side and run to the far end of the plateau to a group of cairns. Do not cross the fence but do an almost full about turn to pick a trod up which leads to the summit cairn. At the summit go straight off the front of the fell and return to the stream at and you cossed/went through on your way up the bridleway. Return on the bridleway back to Street." Debbie warned that full body cover and kit will be required. Well this race is in the Isle of Lloyd Taggart. 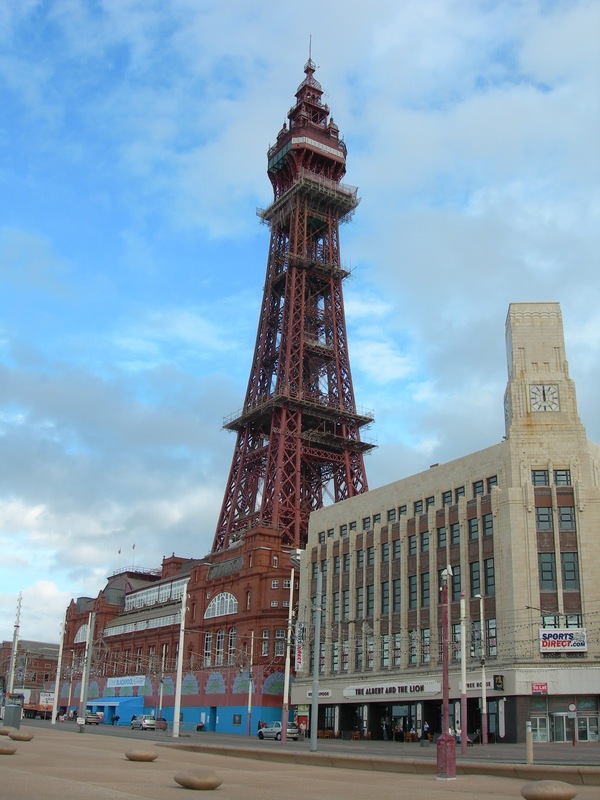 FRB has never had the pleasure of visiting the island of men with three legs and cats with no tails, but as we are in Blackpool, just a beach pebble's throw away, we think we have the right to look up the stats and give it a mention. 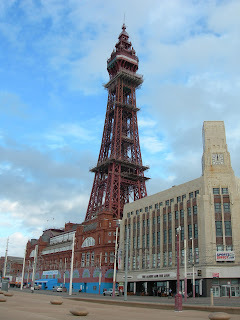 Right talking of beach - We're off to the Pleasure Beach now and then it's Fish n Chips for lunch, the zoo to see Albert and the Lion in the afternoon and then a run to Fleetwood and back along the promenade. Then we are having a beat the lift race in the tower. At 518ft it's actually more climb than Peel Hill. After that we'll bring you news of Sunday's races including Cop Hill and limited edition 'ROAD' feature, the Derwent Water 10. 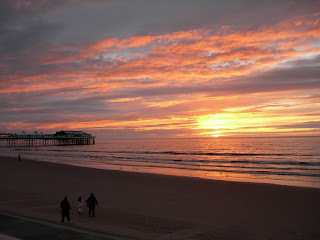 Sunset on Britain's west coast - roll on le weekend! If you are racing this weekend, why not tell us who won via Twitter @fellrunninbrief or make a post on the FRA Forum or by commenting on this article and we'll share the news with other fellrunning fans.